Contemporary science education research emphasizes the importance of considering students pre-instructional beliefs when designing effective, learner-centered instructional strategies. When scientists teach about dating geological events, most often the concepts of radioactive decay and half-life are presented. However, the research base on student understanding of radiation and radioactivity is currently quite limited. The principal research question used to focus this investigation asked: What are the common difficulties that students experience when trying to learn about radiation and radioactivity? Our research illustrates that students bring to the classroom many inaccurate ideas and reasoning difficulties on the topics of ionizing radiation, radioactivity, and radioactive decay that are well-poised to interfere with students' understanding of how half-life is used to determine geologic time. To uncover the range and frequency of the dominant student beliefs, we performed individual demonstration interviews and administered open-response and multiple-choice conceptual tests to students from a wide-range of science backgrounds. Our results show that students are often unable to differentiate between the ideas of irradiation and contamination, and that many of these students' reasoning difficulties about radioactive decay and half-life stem from their inaccurate mental models regarding the atom. The complex nature of climate change science poses spe-cial challenges for educators. Learners come to the classroom with prior knowledge on the topic, which serves as a foundation for further knowledge building, but can also pose barriers to conceptual change. Learners have existing mental models that may limit their perception and processing of con flicting information and prevent adoption of scientific conceptions. Instructional strategies that attempt conceptual change by simply provoking cognitive conflict have had limited success due to the importance of epistemological beliefs and motivation to the conceptual change process. The Mock Environment Summit course uses role-playing, argumentation and discussion to heighten epistemological awareness and motivation and thereby facilitate conceptual change. The pre/post-course concept map evaluation of students' knowledge about the science of global climate change reported here shows evidence of significant learning and conceptual change. Our study also provides useful information about gaps in knowledge and the types of misconceptions students are likely to have about this topic. Insight gained from this assessment study can be used to tailor the curriculum and enhance student progress towards more scientific conceptions of the problem. This study explored junior high school students' perceptions of the water cycle. The study sample included 1,000 junior high school students (7th-9th grades) from six urban schools, in Israel. The data collection was based on a series of quantitative and qualitative research tools that were specifically developed for this study. The findings indicated that the students understand various hydro-bio-geological processes, but most of them lack the dynamic, cyclic, and systemic perceptions of the system. Moreover, they possessed an incomplete picture of the water cycle including many preconceptions and misconceptions about it. Most of the sample population studied were aware of the atmospheric part of the water cycle, but ignored its groundwater part. Moreover, those who included part of the underground system in the water cycle perceived the underground water as static, sub-surface lakes. It is suggested that the findings reflect the traditional disciplinary approach of the dealing with subject of water in the science curricula. This study also implies the need for further research about the cognitive abilities of junior high students to deal with cyclic-systems thinking, and the need to explore activities that might develop or stimulate such abilities. We surveyed three groups of students regarding their ideas about the structure, scale, and perceived importance of groundwater. The quantitative methods employed in this study incorporated simple descriptive statistics of the six multiple-choice item responses. The results of this study indicate that many people hold inappropriate conceptions of hydrogeologic principles. They describe groundwater storage using multiple structures other than pores and cracks. Participant responses regarding the size ranges of groundwater storage structures show that students possess a wide range of ideas concerning scale. Many participants selected sizes of the groundwater structures that mirrored the surface analogs, however, some students applied scales on the order of houses and skyscrapers to typical pore and crack structures. The mental models erected according to the frameworks of these alternative scale conceptions are likely to be inappropriate and could detrimentally impact the appropriate mental visualization of other associated groundwater principles. To effectively address students' alternative groundwater conceptions teachers must pay particular attention to issues of scale, as well as the application of those conceptions to individually and socially relevant questions. The watershed concept is important in many areas of geology and environmental science, and the purpose of this study was to investigate students' ideas about watersheds and how these ideas change across grade level. A total of 95 students were sampled: 28 sixth graders, 25 seventh graders, 22 eight graders, and 23 ninth graders. To elicit students' ideas about watersheds a task was developed that required students to draw a picture of a watershed and explain their drawing. In general, students understand a watershed from a very limited scientific perspective. For sixth and some seventh grade students a watershed is a water storage facility or a facility that supplies water. Eighth and ninth grade students' ideas about a watershed focused on a mountainous stream. Older students also incorporated the hydrologic cycle, but rarely represented linkages between land and watercourses. For all students, humans do not appear to be a part of a watershed, but separate from it. The implications of these findings are also explored. This study explored junior high school students' understanding of essential concepts of scientific thinking "observation", "hypothesis" and "conclusion" and the effect of the learning of the program "The Rock Cycle" on the development of such understanding. The study sample consisted of 582 students of the 7th and 8th grade, who learned in 21 classes, with 14 teachers from 8 schools in Israel. The data collection was based on a quantitative research tool that was specifically developed for this study and qualitative tools such as observations and interviews. The findings indicated that the students have considerable difficulties in understanding the basic concepts underlying the scientific inquiry, and that the "The Rock Cycle" has a potential to develop such understanding. An unexpected gender difference was found. Girls outperformed boys in scientific thinking, both in the pre and the post tests. 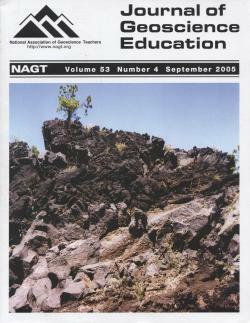 The unique character of geoscience methodology, together with structuredinquiry and metacognitive activities, served as an appropriate framework for students to develop basic scientific thinking. The co-interpretation of quantitative and qualitative analysis indicated that the type of teacher (openness to innovative methods, enthusiasm and scientific background) was a crucial factor in students' ability to exploit the potential of "The Rock Cycle". Assessment of learning in entry-level college science courses is of interest to a wide variety of faculty, administrators, and policy-makers. The question of student preparedness for college instruction, as well as the effect of instruction on student ideas, has prompted a wide range of qualitative and quantitative studies across disciplines. In the geosciences, faculty are just beginning to become aware of the importance of conceptual change in instruction. The development of the Geoscience Concept Inventory (GCI) and application to the study of learning in entry-level geoscience courses provides a common framework from which faculty can evaluate learning and teaching effectiveness. In a study of 43 courses and 2500 students, we find that students are entering geoscience courses with alternative conceptions (sometimes called "misconceptions"), and in many cases are leaving the classroom with these alternative ideas intact. Comparison of pre- and post-test results show that students with the lowest pre-test scores show the most improvement, whereas those with higher pre-test scores show little, if any, improvement. We also find no relationship between self-reported teaching style and learning as measured by the GCI, suggesting significant research needs to be done to evaluate teaching effectiveness in geoscience classrooms. Although spatial ability is related to success in the sciences, relatively little research has considered the relationship of spatial abilities with common misconceptions and broader conceptual difficulties in the Earth sciences. Spatial thinking and abilities have not commonly been directly addressed in traditional education. In this study, I found moderately significant positive correlations between scores on the ESC, a new test of Earth science conceptual understanding, and scores on each of three types, or factors, of spatial ability in university undergraduate non-science majors. Types of spatial ability tested included mental rotation, spatial perception, and spatial visualization. I found mental rotation to be the best predictor of ESC scores of the variables tested. Results suggest that an opportunity may exist to improve Earth science conceptual understanding by focusing on spatial abilities or the spatial aspects of concepts. A model-based, conceptual change approach to teaching was found to improve student understanding of earth structure in a large (100+ student) inquiry-based, general education setting. Results from paired pre- and post-instruction sketches indicated that 19% (n = 18/97) of the students began the class with na�ve preconceptions of the structure of the interior of the Earth. Many of the remaining students (95%; n = 75/79) began the lesson believing that the crust is several hundred kilometers thick. Peer discussion and instruction appeared to be effective in eliminating most naive preconceptions. Analyses of post-instruction sketches indicated that 3% (n = 3/97) of all students retained na�ve preconceptions, 18% (n = 18/97) changed their views from na�ve to the "thick crust" view, 58% (n = 58/97) began to recognize the relative scales of the boundaries with 30% (n = 28/97) drawing the sketch with scaled boundaries. 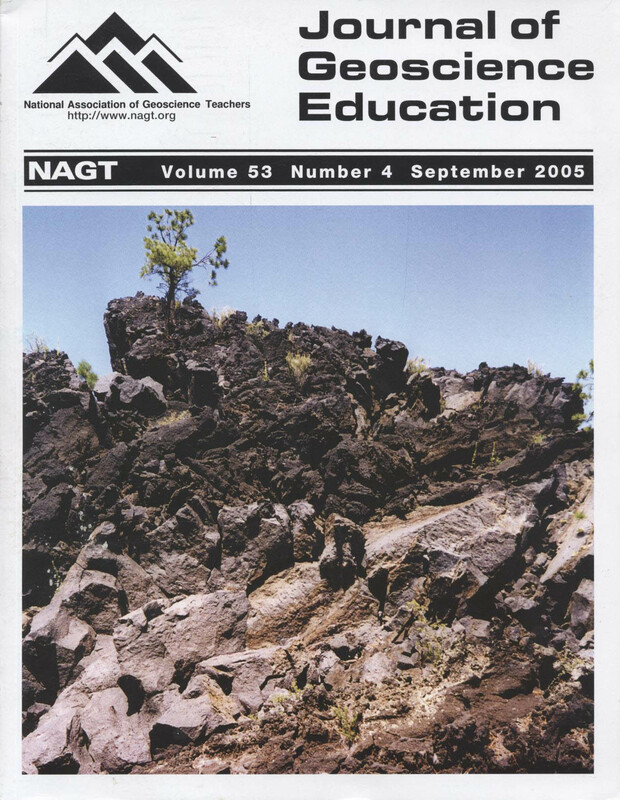 Many of the students (65%; n = 76/117) could correctly answer formative earth structure conceptual questions that were asked five lessons after the earth structure lesson was taught. A comparison of pre- and post-course conceptual test question responses indicated that 13-20% more students could correctly answer similar questions two months after the model-based, conceptual change plate tectonics lessons were taught. The study of conceptual change has long been of interest to cognitive science researchers and has tangible applications in education and curriculum design. Many theorists agree that learners must be confronted with their misconceptions before conceptual change can occur. This case study is an in-depth investigation of three fifth-grade students throughout their participation in a curriculum on Earth surface temperature. Data were collected via individual interviews and classroom observations and interactions, and were analyzed by comparing the students' thinking at various points before, during and after the unit. Throughout the study, the students exhibited misconceptions identified in current literature as well as novel misconceptions. The study also demonstrates that, although the curriculum was found to be partially effective, the students retained some misconceptions with which they began the study. In these cases, it seems that conceptual understanding is more fragmentary than theory-like, and that the depth of one's prior knowledge affects how readily new knowledge is constructed. The paper includes a discussion of student conceptions and potential implications for the design of the curriculum unit. The cognitive apprenticeship method is used to promote conceptual learning in climate science by encouraging student inquiry, which literature shows to be conducive to learning a multi-faceted topic. A course was taught with this approach, whereby students conducted their own research using an up-to-date user-friendly climate model. Five topics addressed in this class are investigated here: Earth Radiation Budget and Clouds, Greenhouse Effect, Ozone, Aerosols and Surface Processes. Assigned reading served as the basis for individual questions, while lectures and discussions helped to define group research questions and associated projects whose results were presented in class. Our analysis of students' questions shows improvement in students' ability to formulate questions in terms of the variable's applicability to the model. Mid-range and low-scoring students showed abrupt and gradual improvement, respectively, while higher-scoring students tended to immediately and consistently perform well. Due to the limited data set for this pilot study, these patterns of improvement are used only as an indication that conceptual learning has taken place. Nevertheless, the results of this study will aid in the experimental design of the next class offering. Geology is a complex, semantically rich domain involving the interpretation of geological maps as external visualizations. Geological maps are complex in particular because 3-dimensional features must be inferred from 2-dimensional representations depicted by differing line types and weights. Modeling building, as an internal mental activity, is also required in order to achieve deep understanding of textual materials in geology, of geological maps, as well as in understanding complex causal processes, e.g., convection, underlying geological phenomena. Using literature from Cognitive Psychology, a framework for teaching and learning with visualizations in Plate Tectonics is given as an example of one difficult topic in Geology which involves the understanding of visualizations. Based on previous work in students' conceptions in Geology, three studies of students' conceptions and cognition in plate tectonics were designed. These studies highlight the importance of progressive model-building as a good pedagogical approach, as well as examine the efficacy of different learning tasks as strategies to promote model-building on the part of learners. Elementary, middle, and secondary school teachers may experience considerable unease when teaching evolution in the context of the Earth or life sciences (Griffith and Brem, in press). Many factors may contribute to their discomfort, including personal conceptualizations of the evolutionary process - especially human evolution, the most controversial aspect of evolutionary theory. Knowing more about the mental representations of an evolutionary process could help researchers to understand the challenges educators face in addressing scientific principles. These insights could inform educators of alternative methods in providing support and assistance. In this study, we examined pre-service teachers' conceptual representations of an evolutionary process through their personal narratives of evolution for an imaginary humanoid species on a far-off planet. The imaginary creature participants described tended to resemble humans in both form and evolutionary history. The narratives had a tendency to link evolutionary changes with social and moral consequences. Those whose narratives closely paralleled human evolution also seemed to have difficulty envisioning evolutionary changes that would take the species past current human development and into their evolutionary future. The connection among social and moral issues, evolution, and difficulties envisioning the future may provide important clues into pre-service teachers' conceptualizations of human evolution. Addressing personal barriers and misunderstandings that might impede geoscience education may become an effective tool for teaching scientific principles. Non-major students in introductory geoscience classes exhibit a wide range of intellectual development. Approximately half of these students do not have the skills to understand the abstract scientific concepts traditionally discussed in introductory classes. Many geological concepts will remain unlearned without appropriate activities that build on a foundation of concrete examples. The good news is that these same students can improve their logical thinking skills when they participate in challenging in-class collaborative learning exercises with their more intellectually sophisticated peers. While the exercises themselves are important in promoting the development of higher-order thinking skills, the group interaction also appears to be a significant contributor to the improvement of reasoning. Diagrams, drawings, and pictures are prototypical representations of concepts. Students' drawings of their concepts of convergent plate boundaries provided an efficient means of discovering some widely held misconceptions. Over 600 general education students' drawings of continent-continent convergent boundaries reveal two common misconceptions. Approximately one-third drew a continent-continent convergent boundary with concave slabs of continental crust as one might imagine two pieces of firm rubber pushed together on a rigid surface. Almost half drew mountains as one might imagine inverted ice cream cones on a rigid plank. One hundred eighty students were presented a drawing similar to the first misconception and asked to comment on what was incorrect. Forty-nine percent of the students did not recognize the misconception. Students who did not recognize the incorrect representation had lower scores on the Purdue Visualization of Rotations Test than the students who did. Misconceptions common to non-majors persist among upper class majors and beginning graduate students. Ten of 21 upper level geology majors and first year graduate students drew continent-continent convergent boundaries representing the same two prototype misconceptions that non-majors drew. Five out of 14 senior geology majors given a drawing representing a common misconception failed to recognize that the drawing was incorrect.